DON'T LEAVE YOUR PETS IN THE CAR IN THE SUMMER! IT CAN KILL THEM IN MINUTES! Keep your pets safe from the heat of Summer. Please keep your dog safe from being bitten by keeping an eye on them and keeping them leashed and out of the brush in the Spring and Winter seasons. 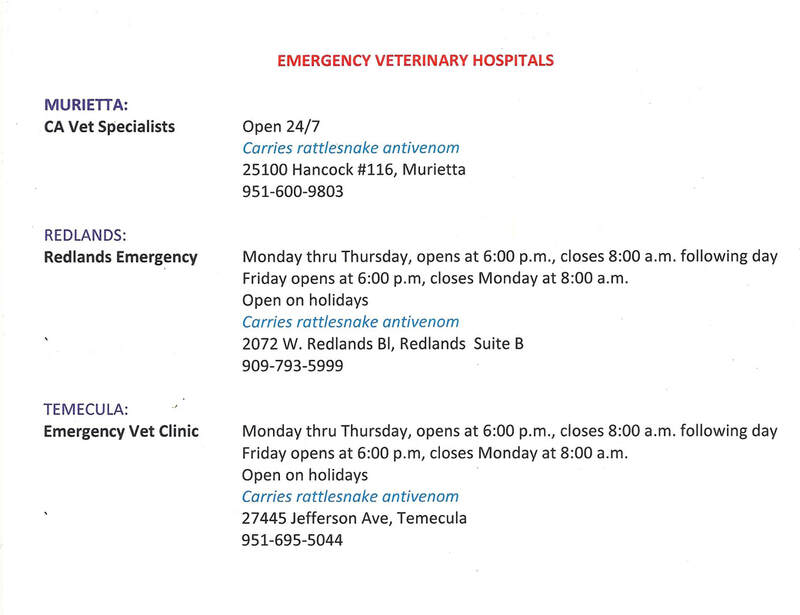 Also, there is a Rattlesnake vaccine that can buy you time to get your pet to the vet which is available up here at Sadie's Clinic, or from your vet. 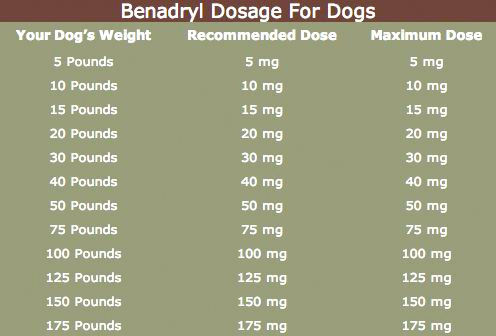 You can try Benadryl as another item to keep on hand, particularly when hiking. It might help buy you time to get your pet to the vet as well. You can administer up to 1 mg per pound, every 8 hours. My thoughts go out to anyone that lost a home or who was displaced from their home during a fire. It’s difficult and even tragic in either case, but now that people are starting to make their way back into their neighborhoods after the evacuations, many may find their furry friends are just not behaving the same. Pets that were removed from their homes and housed somewhere else often suffer from stress and even Post Traumatic Stress Disorder after this type of break in their routines. Even if you didn’t have to leave your home with your pets, they can still suffer from anxiety if you changed your daily routine, to keep a watchful eye on where the fires were headed, making preparations needed in case of evacuation, and keeping animals inside and out of the smoky air. If you had to take your pet away from your home, that alone may be enough to cause symptoms of stress. These signs can range from mild to extreme, depending on how well socialized your pet was in the first place. Some of the more common environmental causes for stress in dogs and cats, (in or out of their environment) are loud noises, intense smells, lack of sleep and/or interruptions of routines of sleep, exposure to other animals and/or people they don’t know, kenneling, change of diet and/or feeding routines, and change in exercise habits. Your pet’s emotional wellbeing will be affected to some degree whenever there are changes in routine. Dogs will often resort back to earlier puppy behaviors that received lots of attention when they were young. Many people report their dogs began chewing again, or their dog’s housetraining waned during household changes. Your dog is not trying to add to your stress with these attention-seeking behaviors, he is simply communicating that he is also stressed. When a cat is under pressure from household changes, they often resort to hiding, not using the litter box, or lashing out behaviors such as hissing or swatting at people or other animals that they got along with in the past. 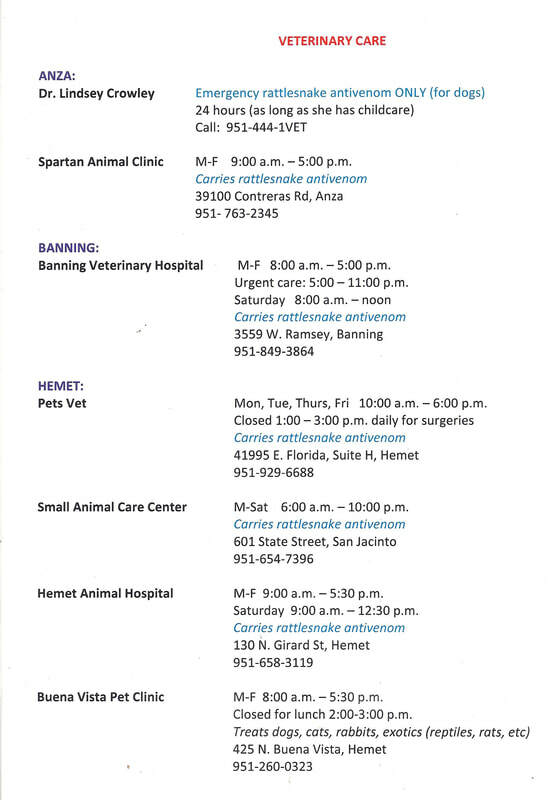 The most important thing you can do to help your pet is to get back into a normal routine as quickly as possible. Studies have shown that it can take a full month to recover from the upshot of chemicals that take place during a trauma (this is true for humans as well). With that in mind, get back to your regular schedule, but also give your pet a break and allow him or her to take a vacation for a couple of weeks. In other words, there are some exceptions to reestablishing your daily routine. These would include temporally eliminating things such as dog parks and/or dog day care, routine vet visits or grooming, having lots of company over, construction on the home, and any other loud or arousing activity that would keep the stress hormones flowing. Overloads of stress hormones, such as cortisol can cause behavior problems, as well as physical damage to animals, since these chemicals are designed for fight or flight, not long-term availability. By allowing your pet time to settle back into the household, (even if you are in a different home), he or she can dissipate all the chemicals from the stress suffered during the displacement, and recover more readily emotionally. When your pet is not allowed to recover from the chemical flood, he or she may begin to act out and display unwanted behaviors, such as those listed above. * Use TTouch or massage to help pets relax physically. For information about TTouch go to: www.ttouch.com, or consider a professional massage technician in your area. * If your pet is having a difficult time with the recovery process, talk to your vet about medications that can aide in recovery. It’s also important to make sure there are no underlying medical problem that could be adding to your pet’s stress. * You may also want to set an appointment with a qualified Behavior Consultant and/or an experienced positive reinforcement trainer to help you with some of the behaviors your pet may be displaying. For information, go to: www.iaabc.org, www.apdt.com, or www.karenpryoracademy.com for qualified professionals in the different fields.  Be sure your pet is getting plenty of sleep and rest during the recovery process. According to the book, Stress in Dogs, by Martina Scholz & Clarissa von Reinhardt, dogs that are the most well-adjusted, get about 17 or more hours of rest and sleep each day. Cats need similar amounts of rest and sleep, so if your pets are not getting these long recovery periods, be sure to help facilitate this by providing them with quiet areas to rest. * Finally, relax yourself. Wild Fires are traumatic to every person that lives in the immediate area, and everyone will need to time to recover. Remember to take many deep breaths, get a massage, and do something that makes you smile, or talk to a qualified Stress Therapist to help in your own recovery.